When small-scale manufacturing is stitched into the fabric of a community, it enlivens community spaces and makes the economy more resilient by diversifying the market and providing higher wage jobs. 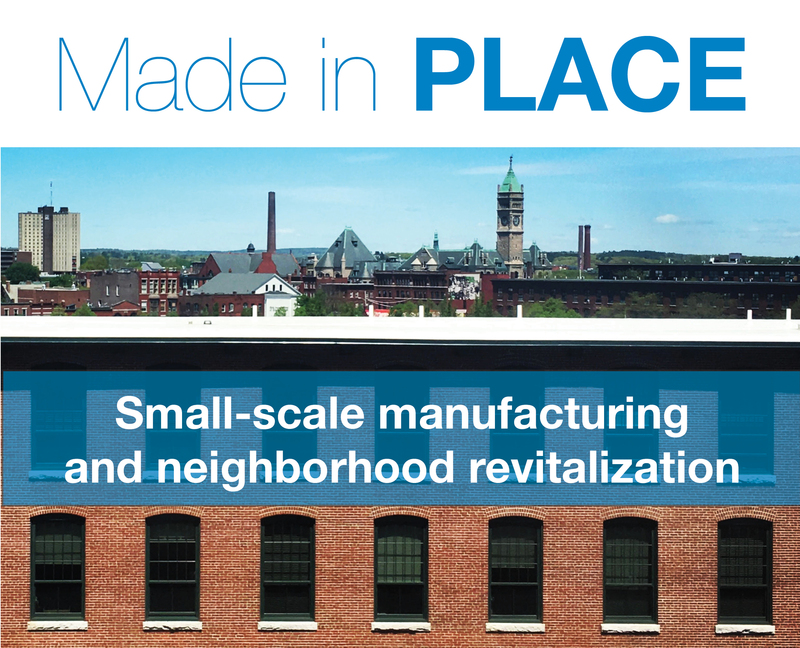 Encouraging more small-scale manufacturing on main street or in other close-in, walkable neighborhoods can foster entrepreneurs and homegrown industries. These businesses create well-paying jobs for people with a variety of education and skill levels, and bring vitality to main streets and neighborhood centers—creating a foothold for future growth. In partnership with the U.S. Economic Development Administration and Recast City, Smart Growth America is offering free technical assistance to community leaders interested in using small-scale manufacturing to help revitalize a downtown or neighborhood and create economic opportunity. The six (6) communities selected for this opportunity will be engaged over a four-month technical assistance period, including a two- to three-day site visit and a customized action plan that identifies next steps and resources available for implementation. Any units or subdivisions of regional, local, or tribal government, as well as non-profits and non-governmental organizations such as community development corporations and community foundations, are eligible to apply. For more information about the program, the eligibility criteria, and the evaluation and selection process, download and read the PDF version of the application. This application was prepared by Smart Growth America using Federal funds under award ED16HDQ3030042 from the Economic Development Administration, U.S. Department of Commerce. The statements, findings, conclusions, and recommendations are those of the author(s) and do not necessarily reflect the views of the Economic Development Administration or the U.S. Department of Commerce. All application information will be shared with Recast City, SGA’s partner on this technical assistance program. This is the second year of this technical assistance—read about the winning communities from early 2017. For pre-application assistance and inquiries, contact us using this form.